Dev, the hybrid demon prophesied to bring an end to The Sanctum and destroy the world for Magicals and humans alike, is not what Wyatt expected to find when sent out on his latest mission. Believed to be hunting a killing machine, Wyatt finds little more than a broken girl with haunted eyes and a bit of a death wish. Drawn to one another for reasons they cannot begin to explain to themselves, much less anyone else, Wyatt is determined to protect Dev and help her realize her mission to avenge the deaths of her family at the hands of The Sanctum. 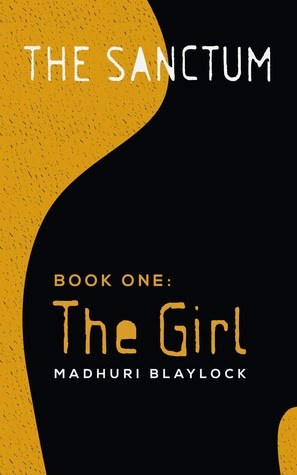 Set against the backdrop of New York City, THE GIRL is described as "outstanding, original, complex, deep and intoxicating", a "well written, unique...fast-paced read" that begins as one girl's simple quest for revenge and evolves into a complicated tale of trust, friendship, honor and love. “You didn't really think I was just going to leave you here, did you?” Wyatt asked as he moved to retrieve his blade from Dev. She wasn't quite ready to give it up and slashed at Wyatt’s outstretched hand, managing to nick his wrist. Despite the laughter in his voice, Wyatt wasn't playing. He wanted his blade. Her name was Odara and she had been handed down the Clayworth line since the witnessing of The Code of Ten. She was sharper than any Raven blade and fit his hand like a glove. Many had fought and died at his hand thanks to Odara. She was his protector and he wanted her back where she belonged, safely strapped to his hip. For an instant, Wyatt thought he saw a spark in Dev’s eyes and just as quickly, it was gone. At that moment, for reasons unknown to himself, Wyatt resigned himself to a one-sided relationship with her, one completely based upon his will to help her. He stood up and reached for her, praying she didn't have a blade hidden somewhere, knowing that if she did, this time she would definitely kill him. To his surprise, Dev wrapped her arms around his neck and allowed Wyatt to scoop her up and into his arms, but he thought nothing more of it, knowing full well she was merely using him to further her agenda. Madhuri Blaylock is a lawyer by day, writer and avid shoe and dress buyer at all other times. She lives in Jersey City, but her heart remains firmly planted in Brooklyn via Snellville, Georgia. Her husband, Henry, is also a lawyer, and only a lawyer because he actually likes being a lawyer (go figure), probably always wanted to be a lawyer and is really, really good at all things lawyerly. He's also pretty hot. She’s got a big kid, Miss Sydney, and a little kid, the one and only Dash. They're awesome and fierce and supremely cool and able to make her laugh at the strangest things. She would love to add a dog, some chickens, a goat and a burro to this crew. Everyone needs a burro. Some of her favorites, in no particular order: ice cream, Kill Bill, four-inch heels, Matt Damon, tattoos, Laini Taylor, scotch on the rocks, The Sanctum trilogy, Martha's Vineyard, "The Girl" aka her Mini, Rihanna, Doc Martens, tulips, Coach and Tami, photo booths and dancing like a fool. One day she plans to grow up. Right now, she’s enjoying the adventure.